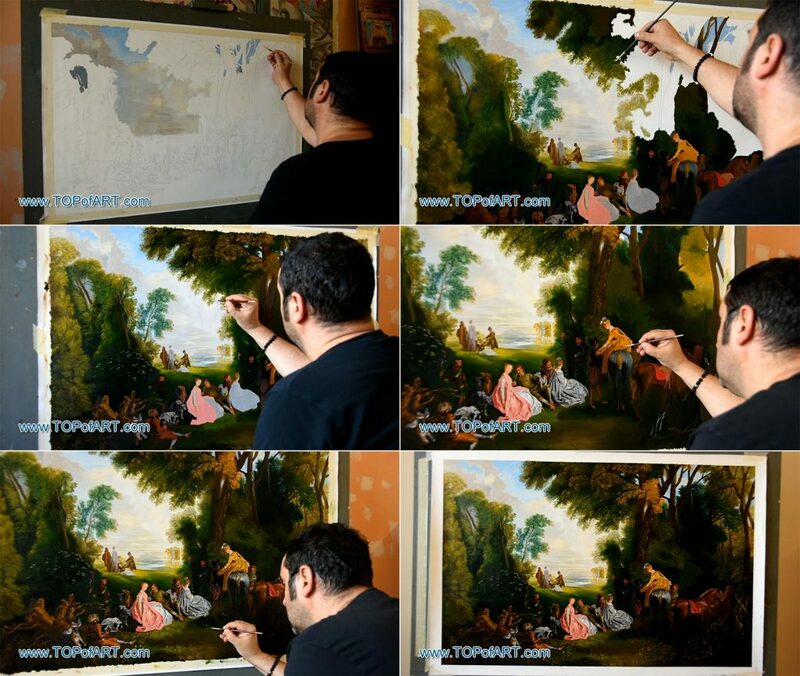 The most recent painting created of our TOPofART team is “The Halt during the Chase” by Jean Antoine Watteau. The painting is painted entirely with oil paints on linen canvas and the size is the same as the size of the original painting in The Wallace Collection, London, UK. The image represents the creation of the painting from the blank canvas to the final touches – step by step.